Tomorrow is 9-11. 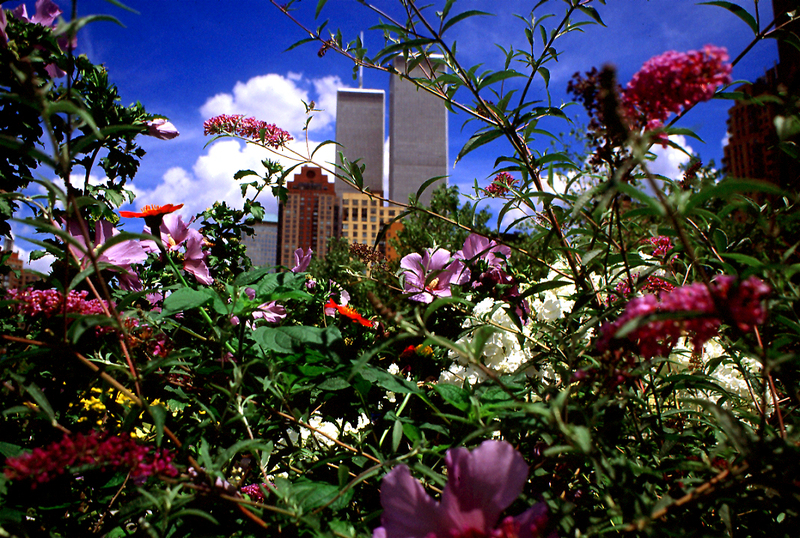 A decade after the horrible events of September 11th. An anniversary that matters very much here in New York City, and an anniversary that I sometimes get the feeling matters much less in other places. Here, anyone who lived in or near downtown Manhattan remembers the day. Like it was yesterday. I have my own tale of September 11, though it is more a story of where I wasn't than of where I was - Stamford, Ct.
One year after September 11th, I remember waking up in my Upper West Side apartment to the sound of a lone bagpipe in the early morning. We knew it was coming from the firehouse on the next block over, which had suffered terrible losses that day. My husband and I recall that chilling sound every year on the anniversary of September 11th. Tomorrow will be no different. Four years after September 11th, I was full-term with my daughter. My doctor had my due-date recorded as September 10th, but at my prodding, admitted it was September 11th, but that she thought it was best to move it a day for reasons she wasn't quite willing to articulate, but which I understood. And I won't lie - I was hoping the baby would wait a few days past that day to make her appearance, as she did. This year, marks a decade since September 11th. Ten years. That fact alone leaves me in disbelief. But so does everything else. How has so little changed since that day? The global issues that brought us to that point our still here, maybe not worse, but certainly not better. I would have thought more would have changed in ten years, in international relations, in progress towards a greater tolerance of cultural and religious differences. That ten years later the mere thought of a mosque near grand zero would not be thought of as a "slap in the face." And as much as tomorrow will be a day of horrific sadness and remembrance for many - way too many - I hope it will also be a day when we all think of what we could do to make the world post-September 11th a better one than it was pre-September 11th. And, perhaps, that is the best way we can honor those whose lives were lost, or forever changed by loss, on that day. 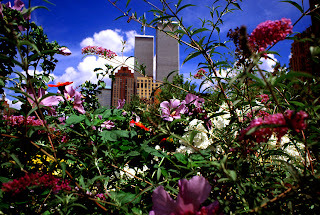 The photo above of the World Trade Center towers was taken by my brother. He has more images of the towers here. It has been an intense day. It's a lot to look back on. But I have to say that the photo your brother took is just stunning and brought a brief smile to my face.